New buyers will have to pay a "small cost" to add CarPlay support, Volvo explained to CNET. People who already own the latest XC90 will be able to upgrade by driving to their dealer and asking for a software flash, which shouldn't last any more than an hour. Volvo's take on CarPlay is distinct thanks to a 9-inch display, and the fact that some of the company's own interface remains onscreen at all times. This allows quick access to some standard car functions, such as cabin temperatures. 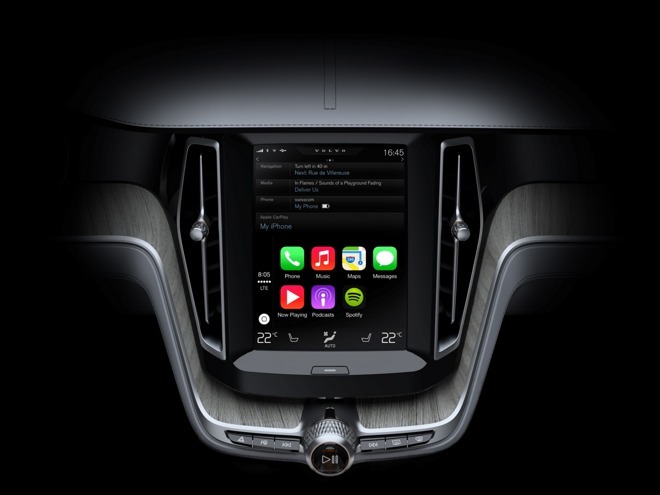 The XC90 was actually one of the first vehicles announced for CarPlay when the technology was unveiled in March 2014. It's not clear why Volvo took almost two years to bring the standard to its U.S. fleet. Automakers have been slow to adopt CarPlay as a rule, however. Major companies like GM and Honda only released their first compatible vehicles earlier this year, giving Google a chance to get Android Auto onto many models as well. Android support is due to reach Volvo's lineup in 2016.